LONDON – The latest developments regarding the fight against the Islamic State group in Syria and Iraq: All times local. The U.S.-led coalition has been pounding Islamic State group targets near the militant-held Iraqi city of Ramadi. Iraqi forces have encircled Ramadi and this week asked the city's civilian residents to leave — a sign that a major operation could be imminent. The coalition says its aircraft conducted 15 airstrikes in Iraq on Wednesday, nine of them on IS targets near Ramadi, including fighting positions, vehicles, weapons and buildings. Also hit were IS group units and vehicles in Iraq's north, outside the recently liberated town of Sinjar. In Baghdad, coalition spokesman Col. Steve Warren says the strikes are in support of Iraqi operations to liberate Ramadi. He says that "with the support of coalition air power, Iraqi forces recently seized the Palestine bridge, which completed the isolation of the city." The top NATO commander in Europe, U.S. Air Force Gen. Philip Breedlove, says the bulk of Russia's air operations in Syria are still directed against moderate opposition forces that oppose President Bashar Assad. He said there's been some shift in Russian tactics lately but the "vast majority of their sorties" are targeting moderate groups, not Islamic State extremists. Breedlove said Wednesday that coalition forces "are not working with or cooperating with Russia in Syria" but have devised safety rules with Russia. He says "we have established a safety regime — a series of tactics, techniques and procedures — by which the two groups, the coalition forces and the Russian forces, communicate and try to maintain safety." He says the coalition "is focused almost entirely" on fighting Islamic State extremists. France's finance minister is calling for tougher rules on imports of art works as part of efforts to dry up financing for the Islamic State group. Minister Michel Sapin says Wednesday "we perhaps don't speak enough of financing ... by the sale of works of art" of the group. He said that trafficking of art looted by IS isn't as big a source of money for the extremists as oil, but it is "one element." He says ultimately it is "people in our developed countries" who buy the looted art, sometimes without knowing. He said many countries control exports of art works, but there needs to be harmonized rules in Europe and beyond on imports too. German counterpart Wolfgang Schaeuble said money-laundering rules should also be expanded to cover art. Russia's deputy defense minister says the Turkish president and his family are benefiting from illegal oil trade with Islamic State militants. Minister Anatoly Antonov told reporters on Wednesday that Moscow has evidence showing that Turkish President Recep Tayyip Erdogan and his family are involved in the oil trade with IS and personally benefit from it. Antonov and his colleagues at the defense ministry's headquarters showed foreign defense attaches based in Moscow some satellite images purporting to show IS transporting oil to Turkey. Erdogan has said he would resign if the accusations against him are proven. 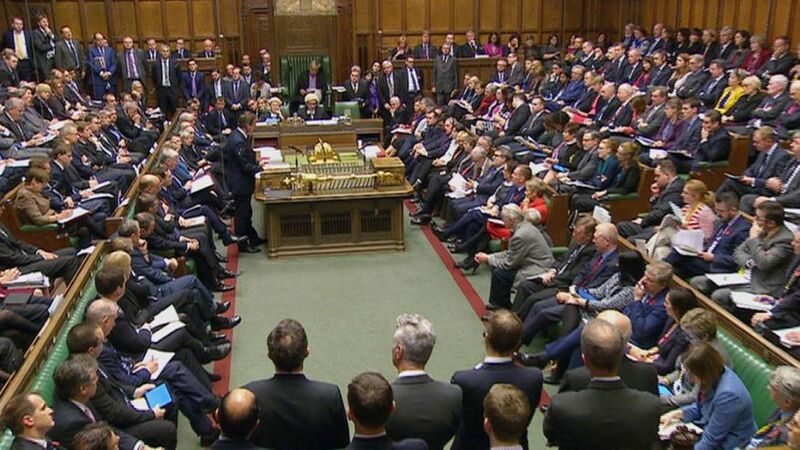 Prime Minister David Cameron has opened a critical debate on whether Britain will take part in airstrikes in Syria, insisting that Britain could make a real difference in the fight against Islamic State militants. 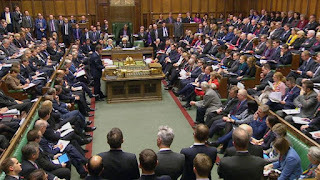 But Cameron struggled to get through his opening remarks Wednesday as outraged opposition Labour Party lawmakers demanded he retract remarks at a closed-door meeting Tuesday in which Cameron branded opponents of the measure a "bunch of terrorist sympathizers." Lawmakers demanded an apology as the 10½ hour debate got underway, arguing the comment showed a lack of respect to those who disagreed with his policy. Foreign Secretary Philip Hammond defended Cameron before the debate started, saying the comments weren't aimed at long-time opponents of war such as Labour leader Jeremy Corbyn. Hammond says Corbyn's views were "obviously sincerely held." Secretary of State John Kerry has lauded British Prime Minister David Cameron's decision to go to parliament and seek approval for British strikes against IS in Syria. Speaking at NATO headquarters, Kerry says "this is a very important step. We applaud his leadership." The US envoy urged the British parliament to approve the request. The British vote would authorize the Royal Air Force to launch air strikes against suspected IS positions inside Syria, allowing it to take a more active role in the U.S.-led coalition seeking to weaken the militants held responsible for attacks in Paris, Beirut, Egypt and elsewhere. Authorities in Russia's predominantly Muslim republic of Chechnya have organized classes to stave off Islamic State recruitment. Thousands of Russian Muslim have joined IS in Syria, and some have taken senior positions. Local students in Chechnya say many of their peers are tempted to go to Syria because they believe in a true Islamic state there. Islamic militancy has engulfed Russia's North Caucasus region, the republic of Dagestan in particular, following two separatist wars in neighboring Chechnya. While nearly 1,000 people are believed to have left Dagestan for Syria, the number of Chechen recruits is far lower. Chechnya's authoritarian leader Ramzan Kadyrov said last month that less than 500 Chechens are believed to have joined IS and about 200 of them have been killed. Kadyrov has even offered to send thousands of Chechen fighters to fight IS. The European Union is trying to close legal loopholes that allow people to travel to Syria or Iraq as foreign fighters and then launch attacks like those in Paris last month when they return home. Around 5,000 so-called foreign fighters are thought to be in the EU or come from it, but only about 1,500 are listed on Europe's criminal databases. The EU's executive Commission unveiled proposals on Wednesday that would criminalize attempts to recruit or train people for extremist activities. New measures would target those who travel within the 28-nation EU or abroad to work with extremists like the Islamic State group. Others would attempt to choke off access to funds and assets. The proposals must still be debated and adopted by EU member countries and the European Parliament. Belgian police have raided five more houses in the Brussels area early Wednesday and detained two people for questioning regarding the Paris attacks that left 130 people dead last month. The raids targeted people who could have a link to Mohamed Abrini, who was seen driving with Paris fugitive Salah Abdeslam two days ahead of the Nov. 13 Paris attacks, and Ahmed Dahmani, who is detained in Turkey.